Last night, the Greater Miami Jewish Federation and Friends of Yajad-Venezuela raised $200,000 at the launch of the Venezuela Support Fund held at Skylake Synagogue. The two-year, joint campaign is raising vital humanitarian funds to assist the people of Venezuela during this time of extreme hardship. The Annual Federation/UJA Campaign currently funds programs in the country on an ongoing basis. One hundred percent of all donations to this fund will go directly to programs and services in Venezuela. Click here to make a donation now. 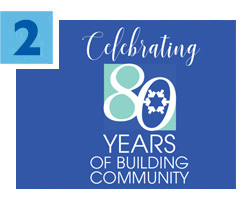 Mark your calendar for Federation’s 79th Annual Meeting on Wednesday, June 7 at Jungle Island. The community will gather to welcome and install the 2017-2018 Federation Officers and Board of Directors. Additionally, we will recognize five exceptional individuals for their service to Federation and Miami’s Jewish community. Ellen Rose and Elise Udelson are the Annual Meeting Co-Chairs. To learn the names of the honorees or to RSVP, click here. Next week, Israel will mark Yom Ha’Zikaron (Memorial Day) on Monday, May 1, and Yom Ha’Atzmaut (Independence Day) on Tuesday, May 2. On Monday, Israel will mourn the lives of fallen soldiers and victims of terror in solemn ceremonies across the nation. 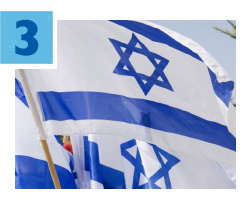 The next day, the country will celebrate Israel’s 69th birthday. Take the opportunity to attend one of the Yom Ha’Atzmaut events organized by one of our three local Jewish community centers: Alper JCC, MAR-JCC, and the Miami Beach JCC. Next year, don’t miss your chance to spend these holidays in Israel on Federation’s Israel at 70 Mission. Click here for more details. Federation is helping make Israel's Negev region a more fulfilling place to live for current and future residents. 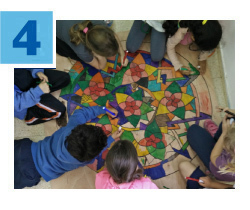 As one of seven member-communities comprising The Jewish Federations of North America Negev Funding Coalition (NFC), the Greater Miami Jewish Federation supports important programs in the area in the fields of healthcare, culture, education, infrastructure and employment. Negev Now, an NFC initiative focused on creative placemaking — projects that make the region more attractive for current and potential residents and visitors — and wellness, is a critical step in this journey, as the region prepares for an influx of IDF, counter-terrorism and intelligence bases in the coming years. Join the Center for the Advancement of Jewish Education (CAJE) and keynote speaker Rabbi Irwin Kula for a Lynn Dumas Russin Memorial Program: Community Celebration of Learning on Sunday, May 21, 11:30 a.m., at Temple Beth Sholom. Rabbi Efrat Zarren-Zohar, Executive Director of CAJE, will be recognized for achieving her Honorary Doctorate for 25 years in the Rabbinate and 20 years of leading Melton Adult Learning in Miami. The event will also honor Melton students, faculty and alumni. 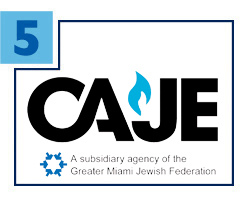 CAJE is a subsidiary agency of the Greater Miami Jewish Federation.